OYSTER BAY, N.Y. — Every three years, the Modern Language Association (MLA) conducts a survey of foreign-language enrollments in U.S. undergraduate and graduate programs. Early this week, the Associated Press reported some of the results of the MLA’s most recent survey, conducted in 2002. Hellenes, philhellenes and classicists have reason to celebrate. In the three years since the last survey in 1998, enrollments of students studying ancient Greek and modern Greek have gone up 27% and 24% respectively, compared to the miniscule increase of 0.8% between the 1995 and 1998 surveys of enrollment in ancient Greek. In addition, the survey noted that 51 more institutions reported that ancient Greek was studied in their ivory towers than had reported in the 1998 survey. The results place ancient Greek in the top 10 of all languages studied at two- and four-year institutions of higher learning. When compared to percentage increases of the top 15 most commonly studied languages, the percentage increases in numbers of students studying ancient Greek surpassed the percentage increases of students studying Spanish, German, Latin and Korean. They were exceeded by American Sign Language (432.8%), Arabic (92.5%), biblical Hebrew (59.0%, and Italian (29.6%). Ancient Greek was placed in the percentage range (increases of 20-30% over the previous MLA survey) of Japanese, Chinese, Modern Hebrew and Portuguese. Although attempts to obtain an analysis of the reasons behind such an increase brought no conclusive results, MLA Executive Director Rosemary Feal (pronounced fay-al) noted that students are increasingly turning toward the foundations of a classical education. Feal suggested that world tension and crises have shown us vividly that other cultures matter. Locally, high school and university programs in Greek (ancient and modern, respectively) have done very well. 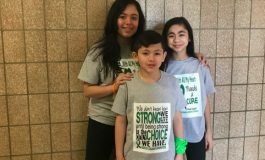 At Townsend Harris High School in Queens, Assistant Principal for the Humanities Lisa Mars described an ancient Greek language requirement that has been a part of the school’s philosophy in its 100 years of existence. Though closed in1942 due to budgetary constraints, the school, which embraces the principals of the ancient Greek philosophy of education, renewed its commitment to that philosophy when the school reopened in 1984. “Entering freshmen recite the Ephebic Oath, an oath of devotion that was recited by ancient Athenian youths who were about to enter public life,” she noted. In the last two years, with more than 30 students enrolled in ancient Greek each year, a new third-level section of ancient Greek was created. It takes, he said, a recruitment effort to get students into the ancient Greek program because the parents of the student population remember their own experience with Latin and are familiar with the advantages of studying Latin (helps improve SAT scores and is “brain food”) but not Greek. “The one year that we thought we were all set with our ancient Greek enrollments and didn’t recruit, we had no students in the program,” he said. What are the selling points he uses to recruit? “The Romans, who would have admitted that ancient Greek was the classier of the two classics, sent their students to Athens for ‘grad school.’ Also, though both languages are difficult to learn and require a commitment, ancient Greek is easier than Latin. In upper level ancient Greek classes, we are able to read Plato’s “Apology” to Socrates and we are nowhere near that in the upper levels of Latin. Columbia University boasts an evolution in modern Greek studies from the 1930s, when, according to Modern Greek Studies Program Director Prof. Karen Van Dyck, teachers offered some courses in modern Greek language and culture, to the mid-1990s when enrollments reached an average of 70 undergraduates per year, approximately five years after the establishment of the Modern Greek Studies Program, which was made possible by the support of Kimon A. Doukas in 1988. At that time, Van Dyck offered a two-year sequence of Modern Greek language and culture courses, and a series of literature seminars taught in Greek, one per semester in a four-semester rotation, alternating surveys and special topic courses. This basic curriculum was supplemented whenever possible with interdisciplinary electives by both Greek and non-Greek Columbia faculty, including Greek History, Byzantine Studies, Anthropology, Ottoman Studies, Architecture, and Comparative Literature, as well as by visiting scholars. In 1992 the New York Greek community sponsored an adjunct language lecturer which amounted to two extra courses per year and led to the addition of a language course directed to the needs of bilingual speakers, as well as a senior research seminar for students writing theses on Greek and Greek-American topics. 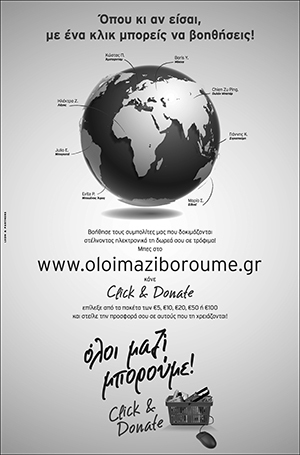 Currently existing under the auspices of the Classics Department, the program also is supported by the Alexander S. Onassis Foundation (USA), the Foundation for Hellenic Culture, the Greek-American community in New York, the Greek ministries of foreign affairs and culture as well as The Kostopoulos Foundation and the Ouranis Foundation in Greece. In a recent report on the program’s development, Prof. Van Dyck, who in 1997 took on the full responsibilities of the Kimon A. Doukas chair, touted Columbia’s program over those in other esteemed institutions of higher learning. She also expressed the program’s potential for the future, especially in view of the new Columbia University president’s desire to enlarge the faculty in the Humanities and the actual physical space of the university. 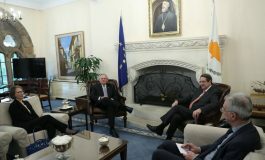 “We hope our success will move us from the ranks of strong middle-sized program to the major Center for Modern Greek Studies in the United States,” Van Dyck reported, expressing the need for endowment funding for the second position and university funding of a half-time administrator for Hellenic Studies in order to be able to move forward on new initiatives. Van Dyck describes endowment naming opportunities, ranging from $25,000 for an annual lecture, to $5,000,000 for a Center for Hellenic Studies.